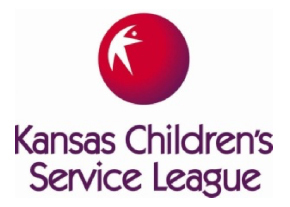 A not-for-profit agency, with more than $50 million in annual revenue, had grown exponentially overnight with the receipt of a state contract to provide adoption services for the children in state custody. Managing the many systems that needed to efficiently coordinate at this rate of growth reached a state of crisis. By June 2001, the organization was struggling to meet key operational and financial goals. The Board asked management to seek outside help to assist with process improvement. By early 2002, the organization’s ability to continue to operate beyond June 30, 2002 was questionable. Assess and Understand. This initial assessment took two days to complete. A financial analysis was the first step. We quickly determined that our process improvement efforts needed to be expanded to a turnaround effort. Next, we focused on resources within the organization – which key processes were adding to net assets and which processes were draining net assets. We identified key values that would guide decision-making and potential process improvements, including adhering to best practices. Finally, we assessed internal leadership to tap strengths as well as supplement and address weaknesses. Identify, Link and Translate. Together with leadership, we identified the key organizational processes that linked to the critical performance indicators identified by the Board so we could closely monitor the impact of changes. Then, we translated these indicators into front-line language. For example, social workers became involved in calculating the number of children they needed to place each month to reach certain adoption placement percentage goals while maintaining best practices. As a result, associates beyond finance and top leadership became aware of the impact they had on the organization’s performance. we were able to increase our ability to assess morale and concerns. TeamTech initially facilitated all of the Process Improvement Teams. Focus, Focus, Focus. Due to the short time frame and crisis situation, actions were prioritized into three categories: immediate, mid-range and long-range. Actions that would positively impact the key performance indicators on or before June 2002 received immediate attention. Partner with, Mentor and Coach Key Leadership. We had to make tough decisions quickly. We met or talked daily with the Chief Operating Officer in our role as a sounding board, mentor and coach. We sat down regularly with the operations leadership team to help facilitate decisions pertaining to the redesign of the service delivery model. We suggested and validated strategies as well as raised questions to ensure thinking was as comprehensive as possible. Close the Accountability Loop. With the COO as the leader, we were fierce about deadlines and accountability. We created an action plan of who was to do what by when at the end of every meeting and used it as the agenda for the next meeting. We hammered away at the need to “close the feedback loop” so we would know if the changes made to improve processes had the intended results. We facilitated regular meetings with operations and finance staff members to study weekly cash flow statements, monthly financials and key performance charts to ensure understanding. We shared and celebrated the accomplishments of each Process Improvement Team. The ability to move quickly and effectively was accomplished through the collaborative efforts of many departments and teams. Individual efforts were critical and surpassed expectations. Buy-in was built among the staff members by the leadership and participation of Operations and Human Resources. Children in state custody have continued quality and continuity of care.